The quick and easy way to find all the exciting Halloween attractions in the Kansas area for 2019! Halloween is just around the corner, and if you're looking for some spooky fun then you've come to the right place. We've put together a list of local Kansas haunted houses, hay rides, spook walks, and more for the scariest day of 2019! Check out all the attractions below - there's something for everyone! Check out Kansas's Real Haunts, where ghosts, ghouls, and apparitions make their home year round! Across Kansas, there are tons of houses, cemeteries, and places that are truly haunted - get all the gory details about Kansas's Real Haunts right here! The Halloween Season entertainment here in Kansas offers some serious scares for thrill seekers to enjoy. 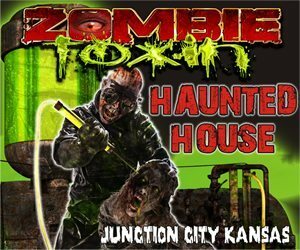 Our site provides visitors with a one stop shop of all the Halloween and Haunted Attractions taking place throughout Kansas. From Haunted Houses, Spook Walks and Haunted Trails, Haunted Corn Mazes to Scream Parks, Escape Games, Zombie Shootouts and Haunted Hayrides, the options are truly endless. If you're in search of an event that is more family-friendly and less spooky, we've got you covered there, too! Visitors can search for Pumpkin Patches, Corn Mazes, Hay Rides, Safe Trick-or-Treating events, Kids Parties, Nightlife and Festivals – just to name a few! No matter where in Kansas you reside, whether it's in a big city like Topeka or Wichita, or in a small town where everyone knows one another's name, KansasHauntedHouses.com is sure to have something nearest you! Once you've found an attraction you'd like to visit, be sure to check out its reviews, which will give you an idea as to what you're getting yourself into and just how scary a haunt is. Once you've braved a haunted attraction that is listed here on Kansas Haunted Houses, let the owners know how much fun your experience was by leaving them a review. Each review helps generate the Attraction of the Year, which is announced after each Halloween Season. Both winner(s) and nominees are then listed on our Attraction of the Year page. 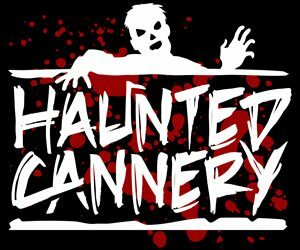 One more step to take before heading out on your haunting journey is to check our Coupons Page to see if the haunt you're going to currently has any deals or discounts taking place. Some attractions will offer money off a ticket, while others give discounts to Military and Emergency Personnel, such as police offers, firefighters and EMTs. Finding some great deals leaves more money in your wallet for that cool Halloween costume or party you'll be throwing with friends! Some haunts also double as fundraisers for local charities, or are owned and operated by the charity itself, and allow haunt goers to bring a non-perishable food item in exchange for a discounted ticket. 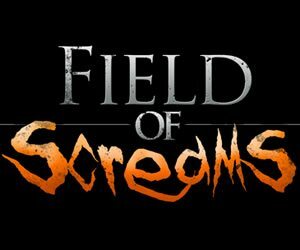 What better way to enjoy some scares than to support a great cause at the same time?! If you're one who is more into the seasonal fun, rather than just the scary stuff, KansasHauntedHouses.com has plenty of events that will allow you and your family to make the most out of the Fall Season. Find the perfect location to pick your pumpkins, check out the beauty that the season brings by going on a hayride, or get lost in a corn maze! And if you're not interested in an old fashioned style walk-through Haunted House, have no fear – there's plenty more to do to get your dose of scares! 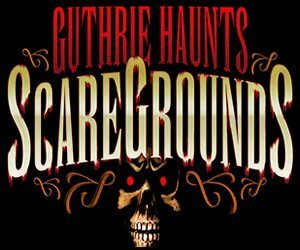 There's Haunted Hayrides, Scream Parks, Zombie Hunts and Shootouts, Haunted Escape Rooms, Haunted Corn Mazes, Spook Walks and Trails and even some Home Haunts that could be right in your own neighborhood. An additional way to celebrate the creepiness of the Halloween Season is by checking out the Real Haunted Places in Kansas. Whether you've heard of them or not, you'd be surprised at how many places have eerie ghost stories attached to them. 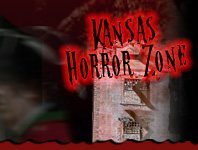 On our site's Real Haunts page, visitors can find a number of real-life haunted places all throughout Kansas. These are especially great for those who have a true interest in all things paranormal, as there's everything from abandoned hospitals and asylums, to cemeteries, parks, schools and residential homes. Some popular haunted spots include the Kansas State Capitol building in Topeka, where a ghostly man has been heard working at night, or the Hollenberg Pony Express Station in Hanover, a state park that features a museum, visitor center, and some ghosts, too! A huge plus for locals is that here at Kansas Haunted Houses, they can easily search and find what they're looking for during the Halloween Season. It's not just Haunted Houses, and it's not just Haunted Attractions, it's a mixture of all the fun things there are to do during the Fall time and leading up to Halloween. There are enough events taking place that are sure to keep both individuals and families busy well until Winter arrives. There's even some stuff to do all year round, including Escape Games, where groups can enjoy a fun challenge together, or Ghost Tours, where you can learn the history of some of the most haunted places in the area – and these usually operate all throughout the year! Don't forget to come back and visit Kansas Haunted Houses throughout the Halloween Season to check out the entertainment that's taking place near you. Our website is continuously updated throughout the year, and during the Halloween Season – so, you don't want to miss out on all that's taking place! Visitors can also follow us on Facebook, Instagram, Twitter and Google+, or sign up for our in-season Halloween email Newsletter, which features local haunt information, discounts, coupons and updates to the Fall events throughout Kansas.